I’ve realized that graduating and going into adulthood is tricky for many reasons — a major one being that you’ve met all these amazing people from university and then suddenly, we all go to different places and take on different lifestyles. Arranging a time and place to actually hang out becomes so, so difficult; there’s scheduling, work, family commitments, travel, etc. to factor in. I’m lucky that I live in the Bay Area and many of my friends are within an hour travel to visit, but I’ve been wondering if there’s any other ways I can continue to strengthen these relationships. I revisited an article by Harvard Business Review that I’ve had saved, and although it speaks specifically on professional relationships, I found it very relevant to my own situation for my friendships and connections. So I thought I’d share a couple of my main takeaways through illustration! Use different tools in your arsenal to show you care — meaning, utilize all the different methods of keeping in touch, whether social media, phone calls, meeting up, letters and mail. The goal is to “be in the orbit” of the people you’re trying to nurture, so you stay top of their mind. I’ve personally only focused on a few methods in the past, so in diversifying what I do for others (especially sending birthday cards and mail) has had really positive results for me so far! Listen carefully and offer to help — understanding the challenges that others around you are facing is crucial to knowing how you can offer help. Whether your friend is looking for an opportunity, a connection, or more knowledge on a subject, you can utilize your own resources to bridge the gap between your peer and where they want to be. From personal experience, I’ve gained so many opportunities from the folks in my network sharing things with me and encouraging me to apply myself; so I’m always grateful to pass on the favor. 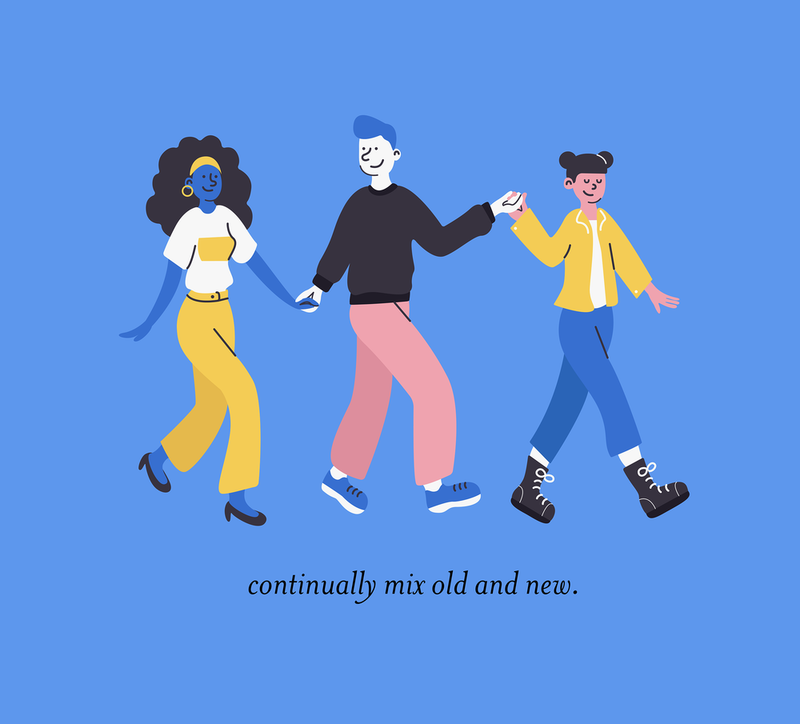 Continually mix old and new — for your older connections especially, this is a great way to keep them in the loop and in your own orbit. It also helps to show your old friends that you’re still thinking about them and how you can help them, even when you’re making newer connections over the years. I haven’t had too much of an opportunity to practice this, but I know that as I start to cross into more communities, it’s something that will (hopefully!) become more natural with time. Do you have any tips for maintaining your relationships? Leave a comment or let me know on social media — I’m always looking to expand my arsenal of tools!